The information presented on this page was originally released on January 14, 2015. It may not be outdated, but please search our site for more current information. If you plan to quote or reference this information in a publication, please check with the Extension specialist or author before proceeding. MISSISSIPPI STATE -- An unusual new agricultural pest has made its way throughout most of the state, and while its impact on soybeans has been low, it is causing trouble in homes. The kudzu bug is an invasive species from Asia that arrived in Atlanta, most likely at the airport. First found in Georgia in 2009, the pest rapidly spread across the entire Southeast and has made it as far as Arkansas and Louisiana. Mississippi State University entomologists said the insect is winged, brown and about the size of a pencil eraser, and it has piercing/sucking mouthparts like a stinkbug. It has three life stages -- egg, nymph and adult -- and has no native predators or parasites that attack them. “We’ve never had a member of this insect family in the country before,” said Blake Layton, Extension entomologist. Kudzu bugs can cause problems in soybean fields, but so far, they have been more of a nuisance indoors. They like to spend cold weather indoors, so homeowners near kudzu-infested areas play unwanted hosts to them in the winter. The pests often congregate in large numbers on building exteriors, but they find a way inside whenever they can. 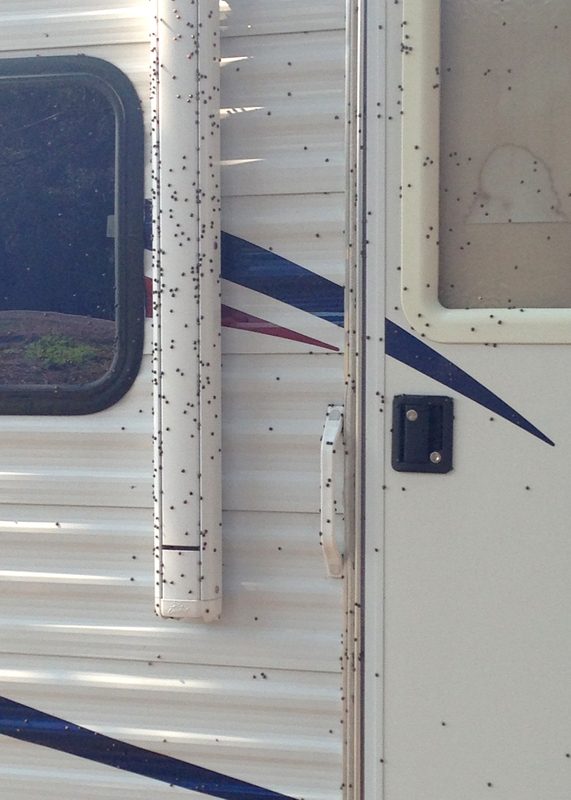 Kudzu bugs so far have only been a problem to people who live near heavy kudzu infestations. In these cases, physical exclusion is the best defense against these home-invading insects. Besides being a pest around houses, the insect has the potential to cause some crop damage. When not feeding on kudzu, the beetle likes soybeans, and Mississippi farmers have planted more than 2 million acres of this crop in recent years. Angus Catchot, Extension agronomic crops entomologist, said kudzu bugs are in nearly every Mississippi county. 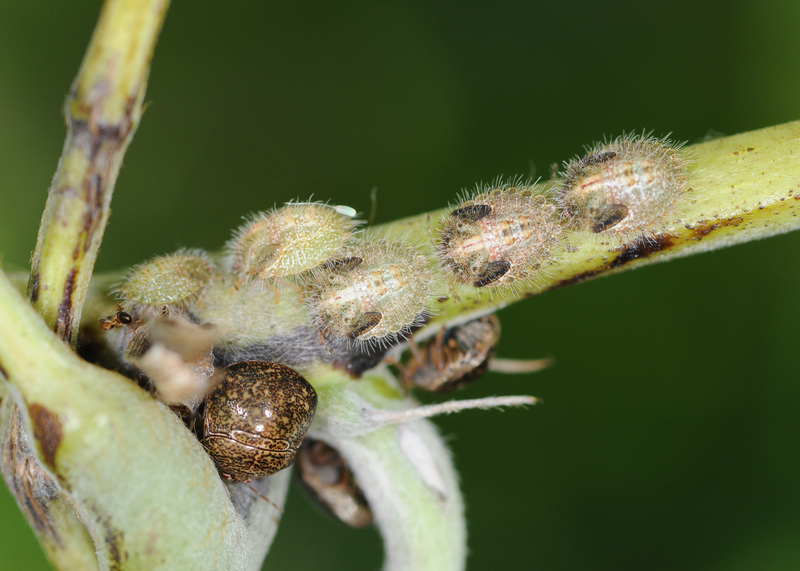 In 2014, farmers sprayed more than 5,000 acres of soybeans for this pest. Kudzu bugs feed on the leaf petioles and stems, not on the leaf or the fruit. With high enough numbers, they can sap plants of their vigor, but it an infestation must be severe before it becomes economically important enough to spray. “We’re pretty intense managers of soybeans in Mississippi, and we feel like this is a pest we can manage,” Catchot said. 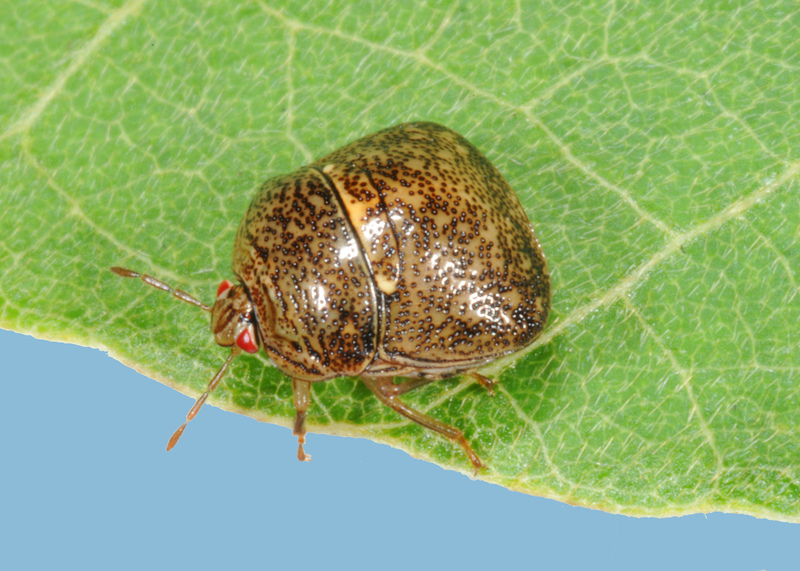 While present in the Delta, the kudzu bug is controlled by the same chemicals used to control stinkbugs, one of soybeans’ major pests. In the southern part of the state, fields are smaller and harder to spray, and that is where kudzu bugs have caused problems in soybeans. 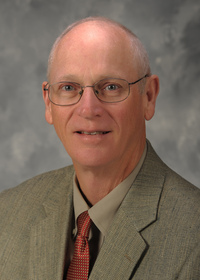 MSU researchers have adopted thresholds from other Southeastern states that have had the pest for a number of years and have collected several years of data. In general, they recommend spraying an insecticide for kudzu bugs when there are five kudzu bugs found per plant in the vegetative stages. During the reproductive stages, MSU recommends treating when an average of 25 nymphs are found per 25 sweeps. These recommendations were added to the 2015 Insect Control Guide for Agronomic Crops. Contacts: Dr. Angus L. Catchot, Jr., Dr. Blake Layton, Jr.